A nod to the '70s with modern accoutrements. The Ignition Club Bass features a fully hollow body design combined with Hofner '70s style 'staple' pickups to give you the authentic Hofner sound. The Hofner control panel has an on/off for each pickup, solo/rhythm switch and individual volume controls. It's an affordable way to get the Hofner look and style that players have enjoyed for years. The Ignition Club Bass features a spruce top paired with flame maple back and sides featuring white binding, a one-piece set maple neck and rosewood fretboard with dot inlays. Other key appointments include it's stylish headstock, sunburst finish, rosewood bridge, trapeze nickel tailpiece and pearloid plastic pickguard which help give this bass visual appeal. 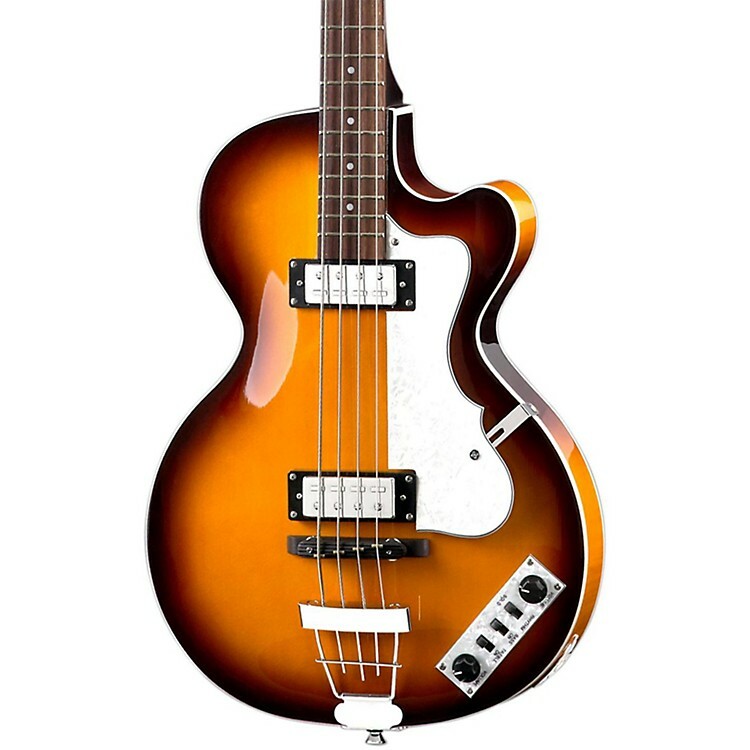 Impress with this special Hofner bass. Order today!